POPSUGAR Reading Challenge Prompt: A book with an LGBTQ+ protagonist. Brief synopsis: Suzette is Little, but only to Lion. Lion(el) is basically her brother. Their parents started dating when they (Little and Lion) were small children, but never went through any "official" ties like marriage or adoption. While Lion was learning a little bit more about how to manage mental illness, Little was across the country at boarding school. Now she's back and she's not quiet sure where she belongs. Her relationship with her brother is strained, and she's trying to come to terms with who she is - once she really understands it herself. Little & Lion is a beautifully written YA novel about family, friendship, queerness, and mental illness. While it sounds like a loaded book, it both is and it isn't. 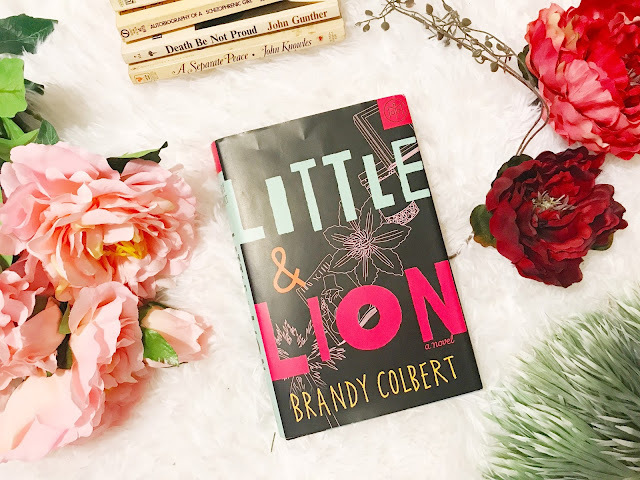 I love that Brandy Colbert makes the story so purposeful, while also making it easy to relate to the characters and understand the storyline. Okay, y'all - don't get me wrong. There is something genius about what's perceived as "literature," and I hate that typically YA doesn't fall into this. I personally prefer that the novels I read aren't so smart they shoot straight over my head. 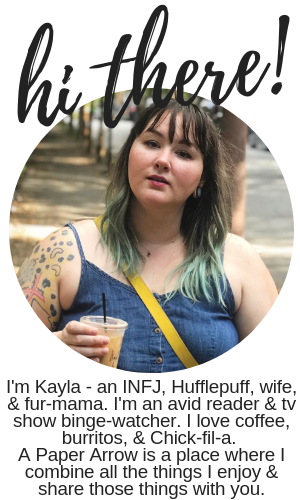 I am a big YA fan, but maybe if you aren't, you won't enjoy this book. I'd like to say that Little & Lion gave me some of the same vibes as The Hate U Give. While not as politically charged, it's definitely a story worth reading, because it makes some valid points. There are issues of racism, homophobia, stigma against mental illness. The novel really has it all, without breaking you down (even though I do enjoy a book that really gets until my skin and stresses me out because those types of issues and dealing with them should make you uncomfortable, so you want to make change... but I could say a lot about that, and this isn't the place for me). I would love to see a lot more buzz around this book, because it really is great. I loved the characters, even if I could've done with a bit more development (especially with Lionel). The book does have some alternating chapters between "then" (when Little was at boarding school) and "now" (when Little is back home with her family). I definitely think the novel could have benefited from switched perspectives (between Little and Lionel), but I understand what Colbert was doing with keeping the focus on Little. The novel was a focus on her sexuality, and other pieces (like the mental illness) were not necessarily the focal point. Regardless, I loved this book. I would definitely love to read more from Brandy Colbert. Just added this to my TBR list- it sounds like it addresses a lot of important things and I like that. I haven’t read a ton of YA books, but I do enjoy them. I like YA books because I typically feel like they're fairly quick reads, but they also tend to address important topics. This is definitely one of them to check out (pun intended)!